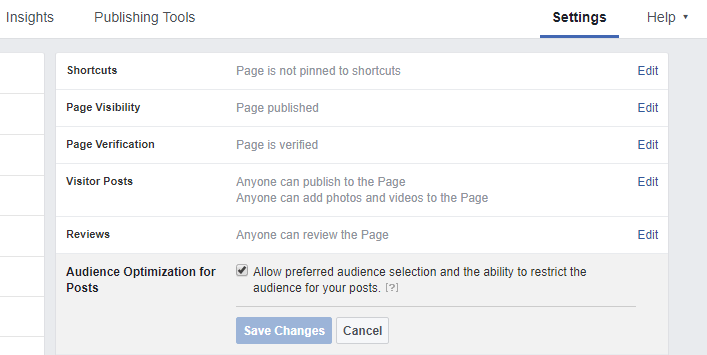 Hidden feature in Facebook that is essential for targeting your posts. There is one little known feature in Facebook that helps publishers target their unpaid content to their select audience. This feature needs to be activated within settings and is often unknown. Without this feature, you are allowing Facebook to determine who sees your content.  Organic reach is the total number of unique people who were shown your post through unpaid distribution. Facebook serves your content to the people who engage with your page most often. The issue is sometimes you want your content to be served to followers who are not the active engagers. As an example, here in the Territory, sometimes you have content specific to Alice Springs, and you want that piece of content to be shown to followers who live in Alice Springs. Or you have multiple products or services within your business and you want to target that content to your customer segment. Most people understand this is the value of paid advertising, that you can pay to have your content distributed to a targeted audience. But did you know you are able to target your organic content too? The feature to do this must be turned on within your settings. The screenshot below indicates how you navigate to this. Once you have turned this feature on, you will see this function appear in your status bar. 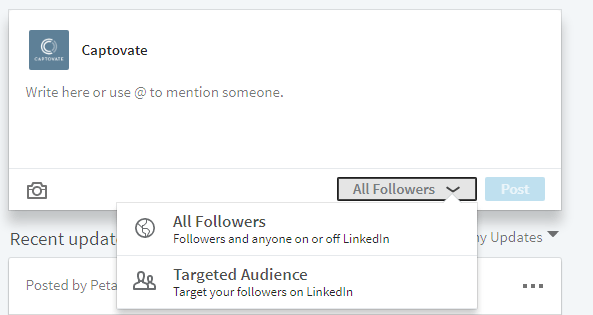 This now means you can select the type of follower this piece of content will be served to, based on their demographic or interest. Sneaky tip – you can do this from your LinkedIn company pages too. Updates to social media channels happen on a week to week basis, and as a business it can be challenging to keep on top of. We regularly post blogs, articles, infographics and more on topics of this nature, so be sure to bookmark our website or follow our social channels for the latest news. If you’re looking for a more comprehensive evaluation of your social media efforts, with training and guidance for your organisation, we can also support that. Contact us for more information.